Onde AudioBook Converter for Mac is an AA converter and audio book to MP3 converter, by which you can easily convert any audio books which could be played on iTunes to unprotected MP3, AAC and WAV formats in 12X speed with ID tags preserved. 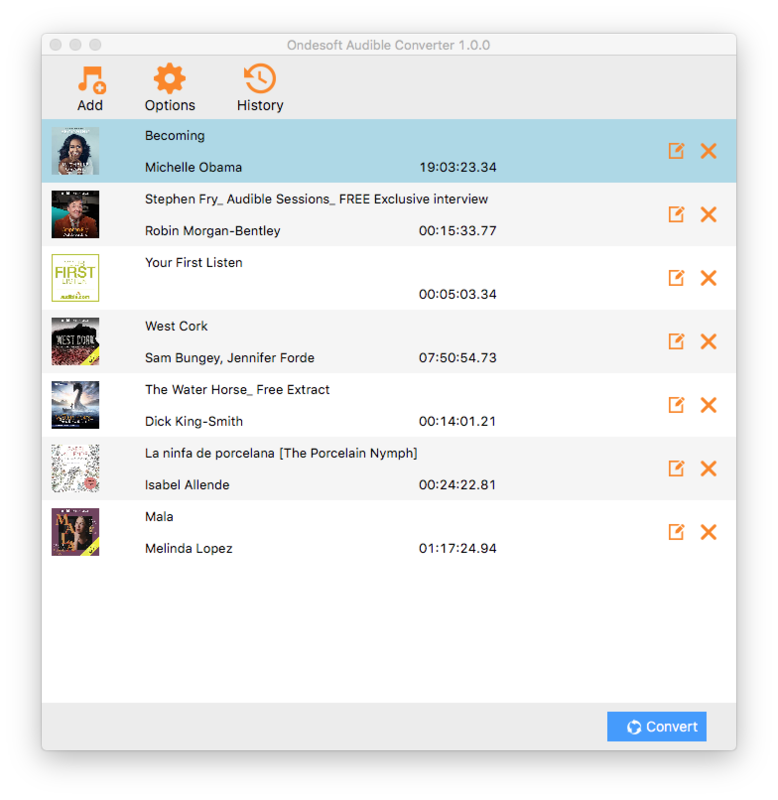 With iTunes and audio recording and converting technology, Onde AudioBook Converter can record any purchased audio books and then convert Audible AA files to unprotected MP3, AAC AC3, AIFF, AU, FLAC, M4A, M4R, and MKA with ID tags preserved. This Mac AudioBook to MP3 converter also enable users to select and convert multiple AA files from iTunes audio book library in batch, up to 12X speed. Output audio files can be CD Quality. Convert a standard audio CD (CDA tracks) to many types of audio files, fast and easy, also, it can play CDA tracks, activate many events at the end of the ripping progress. Xlinksoft MKV Converter is a professional MKV converter which can convert MKV files to other video formats like 3GP, AVI, FLV, SWF, MP4, MOV, VOB. RealGuitar is a sample-based virtual instrument with an innovative approach to guitar sound modeling and guitar part performing on keyboard.